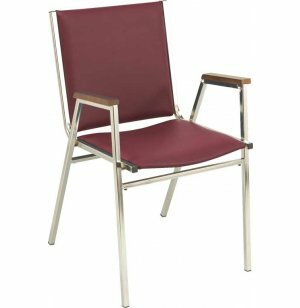 This popular multi-purpose stacking chair by KFI, aims to please. With classic boxy contours, the sturdy frame is made of 3/4"-square tubing, 18-gauge steel. Front and rear 5/8" stretcher bars add extra strength to the structure of this chair. If you're expecting a crowd, wire ganging is available to help keep straight rows of chairs in order. When it's time to clean up, this chair stacks 10 to 12 high for ultra-convenient storage. 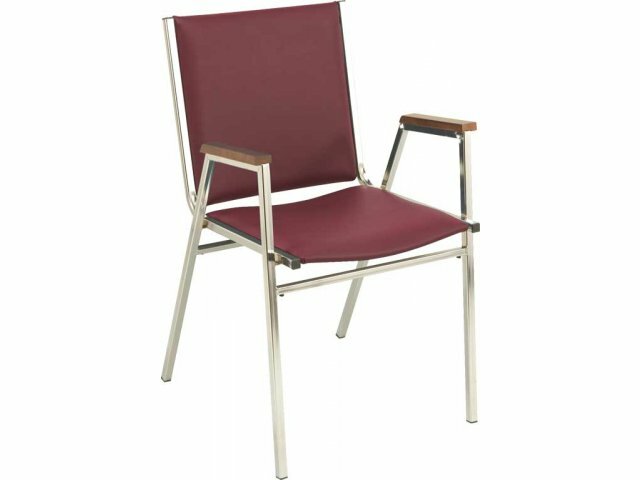 For perfect coordination with all décors, this comfortable vinyl upholstered chair is available in a variety of color tones. Durable: Sturdy streamlined frame of 3/4"-square tubing, 18-gauge steel, will hold strong under tough use. Convenient: This chair stacks 10 to 12 high for space-efficient storage. Option: Ganging option is available - call us at 888-793-4999 for pricing.